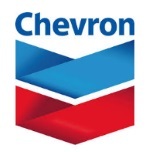 édité le 11/03/2015 - Plus de news de "CHEVRON" - Voir la fiche entreprise de "CHEVRON"
Chevron Corporation executives, at the company's annual security analyst meeting in New York, expressed confidence in the long-term energy business and highlighted its growth outlook through 2017. At the same time, company executives outlined near-term actions to address the recent decline in commodity prices. "The fundamentals of the oil and gas business remain attractive for our company and investors, as our products are vital to a growing world economy," said John Watson, Chevron's chairman and CEO. Watson added, "We are well-positioned to manage through the recent drop in commodity prices and are taking several responsive actions, including curtailing capital spending and lowering costs." "Over the next few years, we expect to deliver significant cash flow growth as projects currently under construction come online. Our intention is to demonstrate performance that will allow our 27-year history of successive increases in our annual dividend payout to continue," Watson added. George Kirkland, vice chairman and executive vice president, upstream, reviewed Chevron's upstream portfolio, strategies, and historical performance, including the company's consistent exploration and resource capture success over the past decade. He also highlighted the upstream segment's superior financial performance relative to industry peers, as well as its leading competitive cost structure. "This was the fifth consecutive year we have led the integrated peer group on earnings per barrel," Kirkland said. "Our base business is performing exceptionally well and is profitable, even in a lower-price environment. Our large, diverse resource base allows us to be very responsive to market conditions, with flexibility to select only the most attractive opportunities to move forward." Jay Johnson, senior vice president, upstream, provided an overview of the specific actions being taken to manage capital outlays, lower costs and improve operating efficiencies, all of which will contribute to improving upstream cash flow. He also provided a comprehensive update on Chevron's deep queue of projects and other future investment opportunities, emphasizing their strong cash and value generation potential. "We continue to make steady progress on our LNG and deepwater developments, and will continue to ramp-up production from our shale and tight assets, particularly from our very attractive Permian Basin acreage position," Johnson said. "We expect to achieve 20 percent production growth by 2017, a rate which is simply unmatched by our industry peers. More importantly, our new production is expected to have considerably higher margins than in our existing portfolio."